Nestled on Maui's sunny south shore, Maalaea Surf Resort is a beautiful location and considered a hidden jewel of Kihei, Maui. 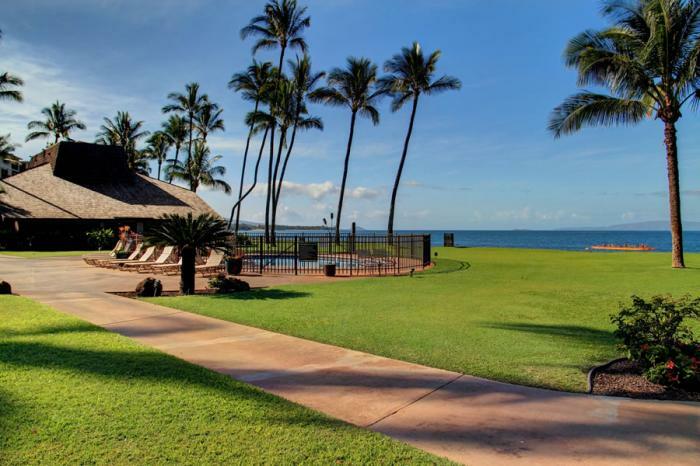 This Maui vacation beachfront resort community features two story buildings on expansive landscaped grounds with miles of golden-sand beach to refresh in the tropical sun. Wiggle your toes in the warm sand and sip away at your favorite drink while you enjoy the happiness of vacation. This picturesque setting is the perfect escape for winter seasonal blues. Take a dip in the two tiki torch lit pools that have an ambiance "Old Hawaii" the ideal setting for your Maui tropical vacation. Close to Ma'alaea Harbor, Maui Ocean Center, gift shops, general store and restaurants all just minutes away.